Stress Free Self Storage: Our storage is your storage! You have the liberty to load the items yourself, at your own pace. Alternatively, our experts can come to your property, collect your items and bring them to our safe, secure storage for you. 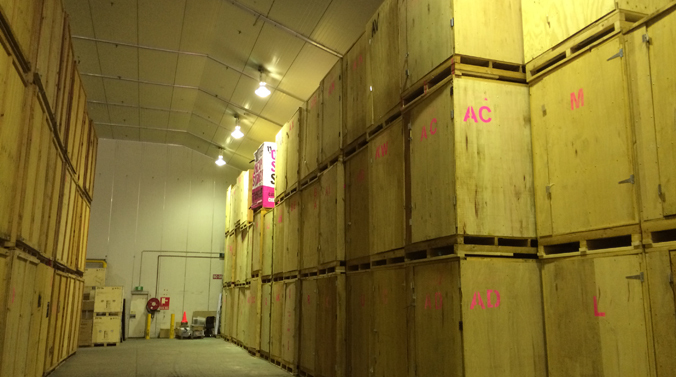 7 Cubic Meter Box: We provide a standard seven cubic meter box for your storage. Our boxes are made out of strong wood and can store anything from simple boxes to delicate pianos. Moreover, storing your belongings with us will save you quite a bit of money (similar sized units can be $100-$140 per month with other storage facilities) and we provide discounts for long term storage! Security is our priority! : We believe in ensuring the security of your belongings. We take measures in order to keep your items safe while in storage. Our storage facility observes pest control programmes, is climate controlled (no mould forming or heat/cold damage) and is under 24/7 CCTV surveillance and guard. We also provide blankets to protect your valuables, and our professional removalists make sure to wrap your valuables before putting your items into storage. Easy Access To Your Belongings: You have complete freedom to access your storage unit whenever you want with only a small handling fee. Simply let us know about your scheduled plan well in advance and we will arrange it for you. We Love To Help: Ready to go ahead with your storage? Have any questions about us? We will do our best to help you in any possible manner. Feel free to call us anytime. So, call us now at 1300 79 7771 and enquire away!